Word has spread about my interest in collecting whiskies but it was still a surprise when an acquaintance presented me with 15 miniature bottles of whisky to add to my growing ranks. My benefactor had worked for Customs & Excise at a UK airport from the 1960s-90s and one of the perks was getting free miniatures that the 1st class passengers left behind. 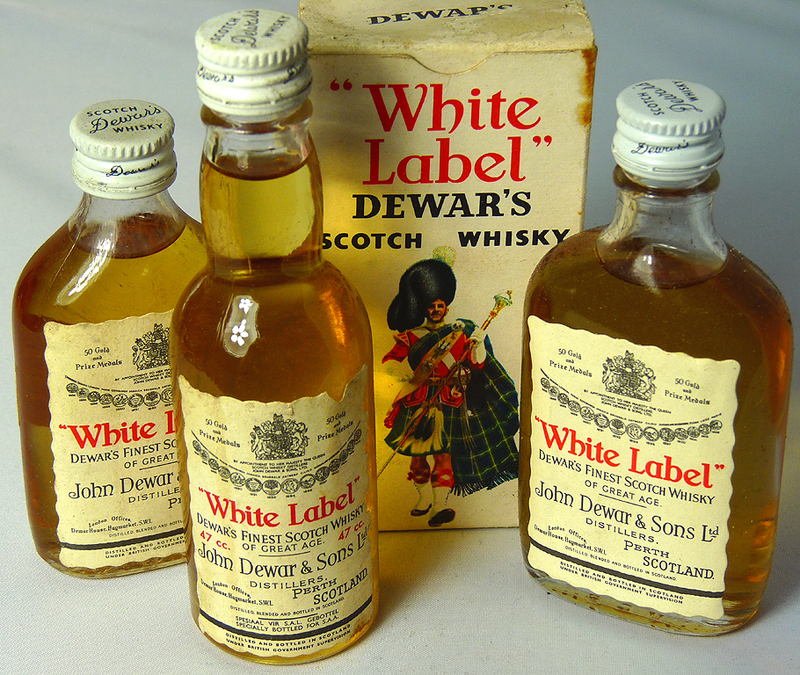 First up in my ‘Customs & Excise Collection’ are these 3 bottles of Dewar’s White Label. One has a label on the back saying it was for use on flights to/from Portugal. Another says “Specially bottled for S.A.A.” which is South African Airlines. As I’ve never been to Portugal or South Africa it seems that these bottles are better travelled than I am! Unfortunately I can’t tell what year any of these bottles come from, so it’s impossible for me to find a review that matches up. The Whisky Bible 2013 gives the latest incarnation of the White Label a lowly 78.5/100 but Jim Murray says it’s not as good as it was. Hopefully my versions are from an era when this blend was at its best!